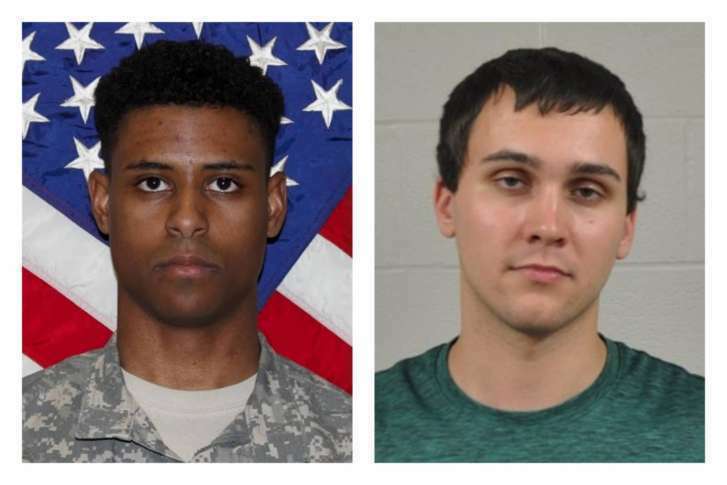 Prosecutors have been advised the FBI has not found enough evidence to charge Sean Urbanski with federal hate crimes for the murder of U.S. Army Lieutenant Richard Collins III. The Federal Bureau of Investigation did not find enough evidence to suggest federal hate crime charges be filed against Sean Urbanski, who is charged with the murder of U.S. Army Lieutenant Richard Collins III, WTOP has learned. Urbanski is still facing state charges in Maryland for first-degree murder and committing a hate crime resulting in death. The maximum penalty in Maryland for first-degree murder is life in prison with no chance of parole, and 20 years for a state hate crime conviction. State and federal prosecutors had not said whether Urbanski would face additional federal hate charges which, in some cases, make a defendant eligible for execution. Contacted by WTOP, Marcy Murphy, a spokesperson for Maryland’s U.S. Attorney’s Office declined to comment. FBI spokesman Dave Fitz would not address the Bureau’s findings. Collins, a Bowie State University student, had been visiting friends on the University of Maryland’s College Park campus when he was killed on May 20, 2017. It was just days before his graduation, and he had been recently commissioned as a U.S. Army second lieutenant. Collins was stabbed at 3 a.m. as he and two friends waited for an Uber at a bus stop. Law enforcement sources told WTOP the FBI did not find enough evidence through forensic testing, digital investigation, and interviews to prove hate motivated Urbanski, who is white, to kill Collins, who is black — even with discovery of racist cartoons and posts in a now-deleted white supremacist Facebook group. After three delays, Urbanski’s trial is currently scheduled for July 22, 2019. Prosecutors requested the most recent postponement when the lead prosecutor left the state’s attorney’s office shortly after the election of Aisha Braveboy, who replaced Angela Alsobrooks. Even before the latest rescheduling, an attorney representing the Collins family said they were being harmed by trial delays. “The family of the victim has been and continues to be severely impacted by this crime,” wrote Pauline Mandel, of the Maryland Crime Victims’ Resource Center, in a November motion opposing a defense request to have Urbanski face two trials; one for first-degree murder, and one for a hate crime that resulted in Collins’ death. Sources familiar with plea negotiations told WTOP prosecutors have remained firm on the first-degree murder count, despite offers by Urbanski’s lawyers that he would plead guilty to second-degree murder. Under Maryland law, first-degree murder is a deliberate, premeditated, and willful killing. The defense has said blood alcohol testing determined he was severely drunk at the time, suggesting they may argue Urbanski’s intoxication hampered his ability to form the intent required for a first-degree murder conviction. Sources have said surveillance video captured the stabbing, seemingly eliminating the possibility Urbanski’s lawyers might argue he didn’t kill Collins. The statutory maximum for a 2nd degree murder conviction in Maryland is 30 years in prison. Barring a plea to a reduced charge, Urbanski could avoid trial by pleading guilty to first-degree murder, with the understanding both sides could make their cases for an appropriate sentence, during the sentencing phase before a judge. Contacted by WTOP, Brennan had no comment. Denise Roberts, a spokesperson for Braveboy did not respond to requests for comment.